People come in different shapes and sizes, but generally can be categorized as one of three main body types -- ectomorph, mesomorph or endomorph. Of the three, endomorphs tend to be people with the most body fat, those who gain weight easily and have trouble keeping it off. A strict diet and exercise regimen, therefore, is crucial to changing an endomorph's body composition. In general, endomorphs should focus on nonstarchy vegetables, lean meats and nonfat dairy and stay away from fatty foods and refined carbohydrates. According to Tiffani Bachus, R.D.N., and Erin Macdonald, R.D.N., on the ACE Fitness website, endomorphs are more sensitive to the effects of carbohydrates on their blood sugar. Simple carbs, such as refined grains like white bread and white pasta, cause the blood sugar to spike and then drop and can actually increase your hunger, causing you to eat more. Refined carbs have been linked with weight gain, and endomorphs, more than the other body types, should avoid them. 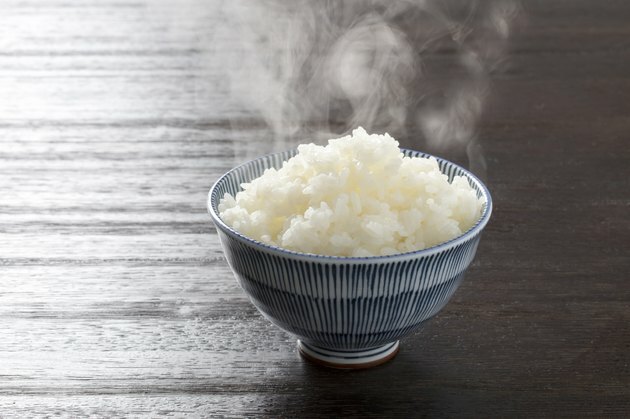 This means ditching white rice; all types of sugar; refined breads, cookies, cakes and muffins; sweetened cereals; snack foods such as pretzels and chips; and sweetened yogurts. Foods high in unhealthy fats like saturated and trans fats are often high in calories and low in nutrition. They're also detrimental to your health, increasing your risk of heart disease and stroke. Endomorphs, and any body type, should avoid fried foods and whole-milk products and limit their intake of red meat, poultry with skin and butter to lower saturated fat intake. They should steer clear of trans fats by avoiding commercial baked goods and any food that contains trans fats or partially hydrogenated oil. Instead, endomorphs should eat small amounts of healthy fats found in plant foods such as olive oil, avocados and walnuts and in fatty fish such as salmon and tuna. How Fast Do Carbs Digest in Your Body? What Body Type Am I if I Gain & Lose Weight Easily? How Many Calories Are in Frozen Yogurt Compared with Ice Cream?